The Sony PlayStation 3 has been honoured with an EISA ( European Imaging and Sound Association) award for home entertainment excellence. It was the console's status as a well-rounded home entertainment hub that won over the judges, rather than its prowess as a gaming powerhouse. "To receive an EISA Award is a very high honour in the electronics industry and therefore to receive one for a product that is usually thought of as simply a games machine, truly highlights the versatility and quality of PS3," said David Reeves, the president of SCEE. "Sony's PS3 is a wonderful example of a powerful media centre, thanks to its inclusion of an audio-video-photo player as well as a web browser to navigate, download, play and chat on the internet," said the EISA judges. "In addition there's a 60GB hard disk for content storage, plus Ethernet, Wi-Fi and Bluetooth connectivity, and four USB interfaces allowing connection of external hard-disk storage and USB accessories such as keyboards. 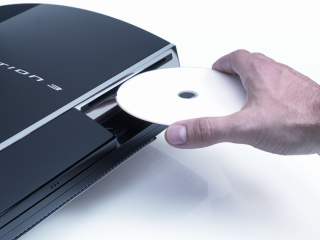 "However, the most important function of the PS3 is the built-in Blu-ray disc player, which also reads DVD, CD and SACD, as well as embracing the new surround sound formats. Top-notch 1080/24p resolution is available from Blu-ray Discs via a HDMI Ver.1.3 interface with x.v.Color. Better still, the PS3 up-converts any DVD movie to 1080p resolution and it accommodates users who prefer to use a traditional remote control - one's available as an option. "Last but not least, PS3 is of course a very advanced game console and a worthy heir to the grand PlayStation heritage."